We Moved! 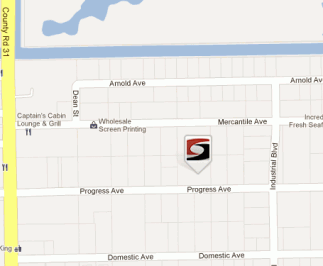 High Velocity™ Category 5® Has A Great New Facility And Showroom! High Velocity™ upgrades facilities and re-locates to the former Rexel Distribution center at 3827 Progress Avenue. One block south of the previous Mercantile Ave address, adding showroom and additional manufacturing capacity to its product lineup. High Velocity’s new manufacturing and showroom facility off Airport Road in Naples, is larger in size than our previous location and accommodates the company’s growth plan as it advances products derived from its proprietary Category 5® line of hurricane protection systems. High Velocity’s Category 5 hurricane protection systems include industry leading rolling and accordion hurricane shutters, screens, shades, awnings, and custom metal extrusion stretch forming services. Please call today, (239) 403-2650 to arrange an appointment to see our large array of hurricane protection systems and other architectural and structural products and services on display at our new Progress Avenue location. Posted in Florida, Naples, News. Tagged facility, florida, naples, showroom, shutters.